All Williams employees, retirees, and their spouses are automatically members of the Faculty Club. Individual meals ($10/12 including tax) can be purchased with cash or credit card only; departments can continue to charge group meals to their college accounts. Lunch hours during the academic year will be from 11:30 a.m. to 1:30 p.m. Traditional Thanksgiving and Holiday luncheons will be scheduled as always and will cost $12.00/14 per person. 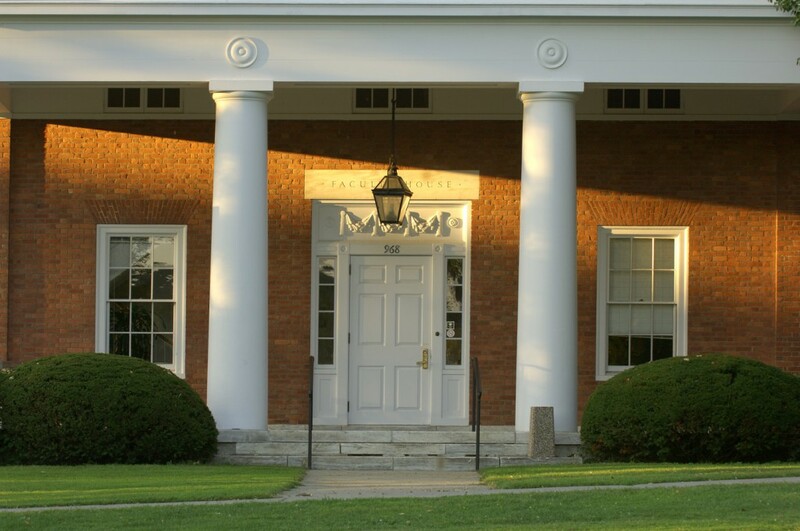 The Faculty House is open for meetings between 8:30 am and 3:30 pm, Monday through Friday. The main dining room may also be booked Monday through Friday for groups of 25 or more. Book rooms through the College reservation system, EMS room scheduler https://roomscheduler.williams.edu/VirtualEMS/ (select Faculty House under Facilities). The Faculty House is not available for walk-in use. Meeting rooms may be reserved for breakfast and lunch meetings. Please make reservations using the College Reservation system or contact catering@williams.edu. Groups can order hot and cold beverages for their meetings throughout the day.